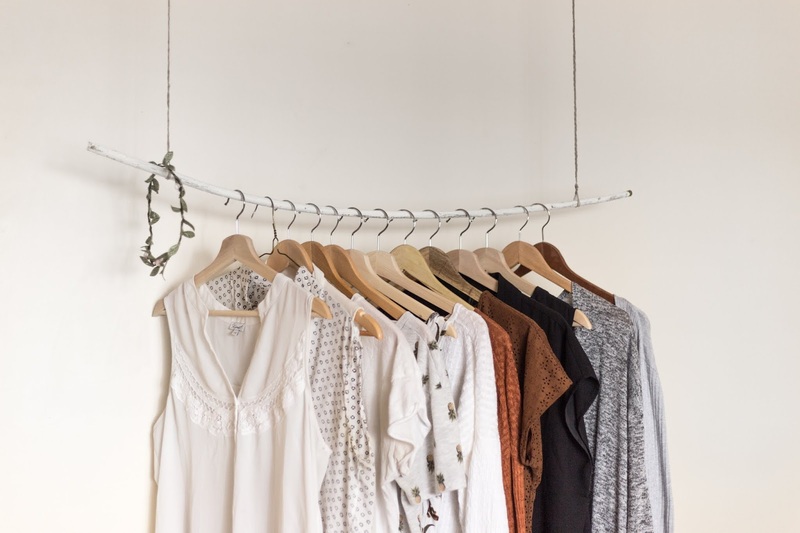 The perfect capsule wardrobe is the holy grail of most women, especially busy mums! Having a concise collection of clothes that all work together and can be grabbed in those few precious moments of me time you get in the morning is key. Here's how to banish what doesn't work and create the perfect capsule wardrobe for your needs. 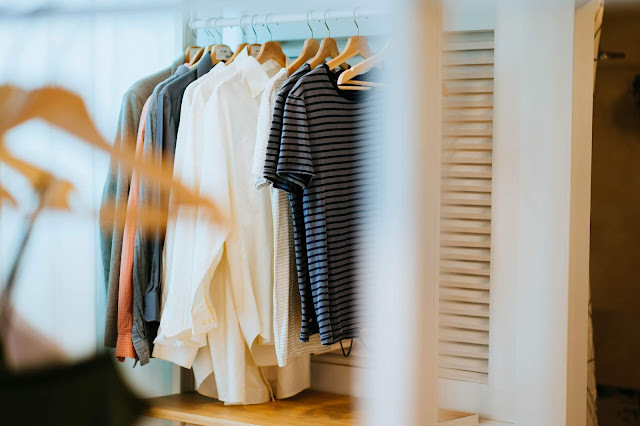 Pull everything out of your wardrobe, drawers and closets and go through everything Marie Kondo- style. What sparks joy? What do you love to wear? What makes you feel great? What suits your lifestyle right now? Get rid of everything else! N.B. Consider storing the work clothes if you're now a SAHM with young kids but intend to go back to the corporate world some time soon. Take a step back before hitting the till with an arm full of clothes. It’s all too easy to be seduced by trends, colour, sparkles - and bargains. The question is, are you going to wear those clothes when you get them home? Visualise what you already have in your wardrobe and work out what you’ll wear your new items with. Knowing your body shape is the key to successful shopping and dressing. If you’re apple shaped, meaning you carry weight around your middle, then opt for bright colours down below. If on the other hand you're a curvy pear shape and carry weight on your hips and bottom, wear brights up top and draw attention away from your areas of concern. In other words, let the colours do the talking and accentuate your best parts with them. Classic pieces will be the core of your capsule wardrobe. For example, a crisp white shirt is a brilliant staple that can be worn in a hundred different ways. We all love a bargain, but sometimes a bargain just isn’t. Especially when you either don’t wear it or it simply falls apart after a few wears. Quality beats quantity every time, so aim for a collection of high quality pieces rather than a mass of cheap, high fashion wear. Don't under-estimate the joys of charity shops, nearly new sales, or even shopping your own or your mum's wardrobe. Breathe new life into those pre-loved items, and give them a new lease of life with new ideas of how to wear them. Try layering a bright neon vest under a sheer blouse or top, to bring it bang up to date. Or find a local seamstress or alteration shop to take things in or change a set fof buttons, for example. The possibilities are endless. You could even get creative and make your own clothes and accessories. Think about attaching a necklace onto an old t-shirt neckline or popping some lace on the bottom of a top. Or if you’re feeling really adventurous, pick up a new skill like knitting or crocheting and make your very own hat, scarf or jumper! Clothes are made to last, and to do this they really need looking after. Give them a bit of TLC by using good quality but gentle laundry products. Use the right products to help keep your bold colours bright and your whites super white; that way they’ll stay looking newer and fresher for longer. Drying whites outside in sunshine is the ideal way to keep them bright, avoid bleaches and brightening products which are too harsh for fabrics. Set up a clothes swap with your friends or colleagues where you all bring in clothes you no longer wear. One person's trash is another person's treasure and all that. You could find your new favourite outfit for free, and it feels great to have a clear out! Do you have any other tips for maintaining the perfect capsule wardrobe? Great tips! I have to remember these. Thanks for sharing at Merry Monday, see you next week!